Does Kelsea Ballerini really need a formal introduction? Well, I don’t really think so, except to those kinds of folks who know every song sung on the radio and even on TV without taking out time to listen for or check the name of the artist, and vice versa. To these kinds of people, the blonde beauty needs some sort of introduction and we will be kind enough to do that. Ballerini is that U.S country-pop singer/songwriter who sang “Love Me Like You Mean It”. Remember that song? I am sure you do. That was actually her debut single which found its way to both the Country Airplay and the Hot Country Songs charts. Love Me Like You Mean It made Kelsea Ballerini the first female whose debut single made it to the Country Airplay chart after Carrie Underwood. Her other singles “Peter Pan” and “Dibs” made her the first female country singer whose three singles made it to the top of that chart after Wynonna Judd. She is doing so well and has two studio album to her credit. But how is her relationship doing? Many have asked whether she is married or dating someone? Who is her husband/fiance? Find answers to the above questions and more as you scroll down. Her full name is Kelsea Nicole Ballerini and she was born in Mascot, Tennessee, on the 12th of September 1993 but grew up in Knoxville. Ballerini is an only child born to Ed and Carla Ballerini. Her dad was a former sales manager at a country radio station and her mom worked as marketing personnel for Thomas Nelson Bible publishing company as well as for a sponsorship company. She has Italian roots from her paternal side. Ballerini has always been interested in the arts from an early. At the age of three, she began taking classes and didn’t stop till she turned thirteen. She wrote her first poem at age twelve for her mom. Kelsea began singing first with the church choir and then her school choir. She began high school at Central High School Knoxville and finished up at Centennial High School Franklin, Tennessee. Kelsea Ballerini attended Lipscomb University for two years before abandoning it to pursue a career in music. She kicked off her career at the age of nineteen after signing a deal with Black River Entertainment – an independent record label in Nashville, Tennessee, which specializes in country music. In 2014, she dropped her first debut single “Love Me Like You Mean It”, which made it to the Country Airplay chart the next month. Later that year, she was named one of CMT’s Next Women of Country. In February 2015, Kelsea Ballerini performed on the Grand Ole Opry for the first time singing Love Me Like You Mean It and in May, she dropped her first studio album The First Time. In July, her single made it to the number one spot on the Billboard Country Airplay chart making her the first female country music singer whose debut single made it to the Country Airplay chart after Carrie Underwood’s “Jesus, Take the Wheel” did in 2006. She also became the eleventh artist in history to achieve such a feat. Two of her other singles Peter Pan and Dibs also topped the chart, making her the first female country singer since Wynonna Judd’s record whose three singles made it to the top of that chart. In 2017, Kelsea appeared on Forbes list of 30 Under 30 peaking on number two. Later that same year, she earned 2 Academy of Country Music Award nominations for Video of the Year for (Peter Pan) and Female Vocalist of the Year. In June 2017, Ballerini released “Legends” the first single from her second studio album Unapologetically which was released in November of the same year. The album peaked at numbers 3 and 7 on the Billboard Top Country Album Chart and the Billboard 200 Album Chart respectively, making it her highest charting album on the charts. Kelsea Ballerini’s net worth is currently estimated at $6 million; Her earnings are from her music career and endorsement deal. This figure will definitely increase in the coming years with more brilliant works coming from her. Is She Married, Who Is Her Husband or Fiance? Ballerini got married to her fiance Evan Morgan on the 2nd of December in Cabo San Lucas, Mexico. Morgan is also a country singer from Australia. The couple met in Morgan’s home country after they co-hosted a Country Music Awards Show. Something sparked between them and they soon began dating. 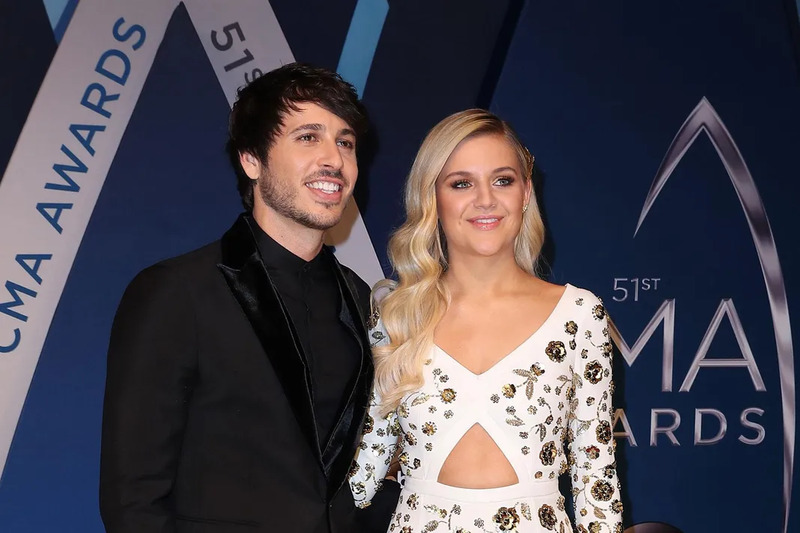 After dating for about nine months, Morgan popped the question; Kelsea Ballerini said yes and a few months later, they tied the knots in the presence of a few family members and friends. The beautiful singer stands at the height of 1.68m that is 5 feet 6 inches and weighs 119 pounds (54kg). Kelsea Ballerini’s bust, waist, and hips measurements are 33-24-34 in (84-61-86 cm).